Bicycle light is a must for cycling at night,which can keep you safe and passers-by as well. This type of light is installed on the seatpost,and is convenient and easy to remove and install. 5 lighting mode can allow you to change for your needs:steady,flash fastly,flash slowly,ECO,flash with rhythm. Intelligent brake sensor is excellent to warn rear cars when you stop without any predition. or power bank and computer as well. Long endurance time will allow you no need to charge frequently. worry about that it will be broken when touching water. High brightness LEDs,visibility in daytime can be 300m,while can be 500m at night. Multi-functional clip: you can fix it on your clothes or backpack. Easy to install and remove,electric quantity indicator. 1. Bicycle light is a must for cycling at night,which can keep you safe and passers-by as well. This type of light is installed on the seatpost,and is convenient and easy to remove and install. 2. 5 lighting mode can allow you to change for your needs:steady,flash fastly,flash slowly,ECO,flash with rhythm. 4. 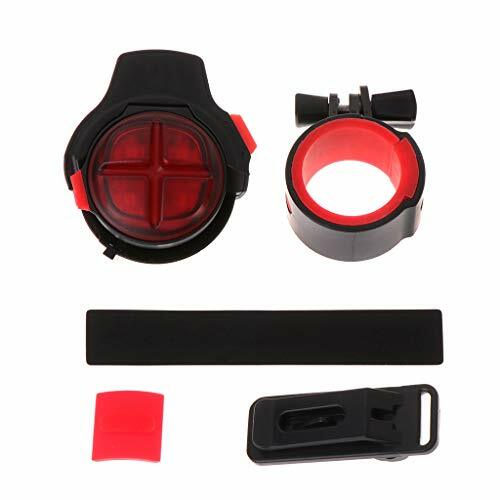 Bicycle light outght to have waterproof design that can allow you to cycling with light in rainy day or no need to worry about that it will be broken when touching water. 5. High brightness LEDs,visibility in daytime can be 300m,while can be 500m at night. Multi-functional clip: you can fix it on your clothes or backpack.